Shipping setup within EasyCart is flexible, powerful, and has a lot of features for a variety of domestic and international users. Enable Shipping on Site: You may globally disable shipping to the entire EasyCart site by turning this feature on/off. 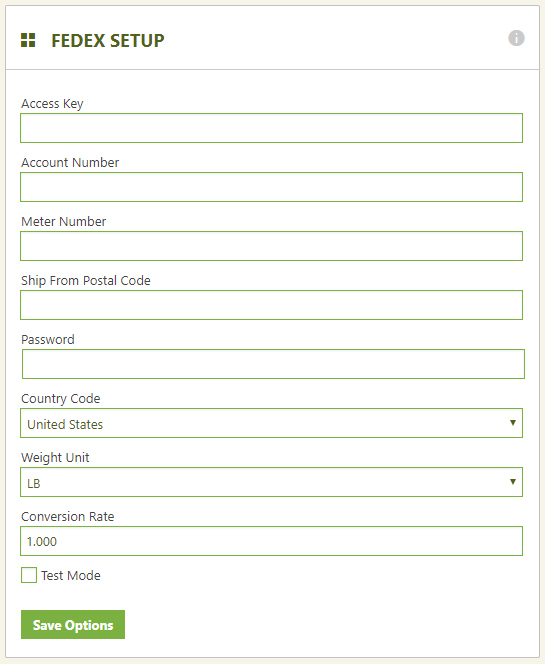 Hide Shipping on Initial Cart Page: You may choose to hide shipping on the cart page and only show it after the user has entered their billing/shipping address to show a more accurate calculation since many live shipping rates will only show AFTER they enter their shipping address. Global Handling Rate: This handling fee is thrown on top of any shipping rate your customer sees. you can optionally edit the labeling to say ‘Shipping & Handling’ in our language editor or use this extra fee to alter all shipping rates. Expedite Shipping Cost: If you use any table rate or static rate such as percentage, weight, quantity, price triggers, you may also offer a simple additional ‘expedite’ option to your customers. This does not apply to live shipping rates. If you leave this field at 0.00, the customer will simply only have their table rate appear and no expedite feature. Weight Unit: This setting establishes what the weight unit will be when sending data to live shipping carrier API’s. If you choose not to use live shipping, then this setting is not used. Dimension Unit: This setting establishes what the dimensions unit will be when sending data to the live shipping carrier API’s. If you choose not to use live shipping, then this setting is not used. Tax Shipping: You can choose whether or not to tax shipping, or leave it disabled and not include shipping in tax calculations. Show Delivery Days: This only applies to live shipping API’s and will display how many approximate days the carrier returns for each shipping rate. Enable Shipping for Subscriptions: Normally subscriptions are not shipped, but if you also have a product that is shipping with a subscription you can choose to enable shipping at the subscription level or not. Each Product Ships Separately (Live Shipping): If enabled, every product the user adds to the cart will calculate its own shipping rate and get totalled. Otherwise, we combine the weights and dimensions to make one package if possible. 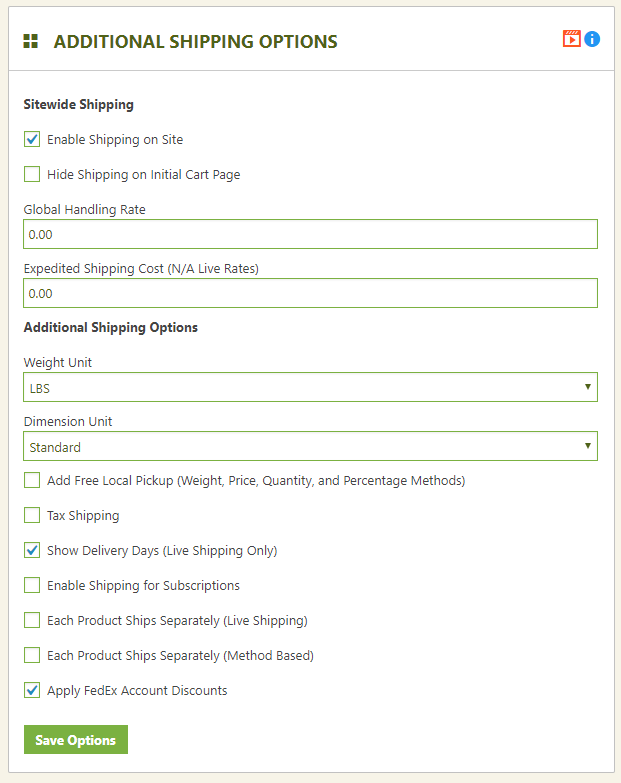 Each Product Ships Separately (Method Based): If enabled, every product the user adds to the cart will calculate its own shipping rate and get totalled. Otherwise, the user is shown one set of static rates and they chose how to ship the entire order. Apply FedEx Account Discounts: FedEx has special account discounts that can be applied and used or ignored and regular rates used. This section allows you to specify which countries you are willing to allow users to shop from. 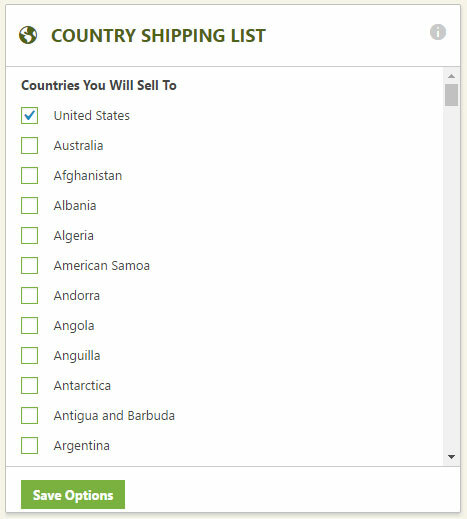 It will only show the following countries in the billing/shipping section. This section lets you specify which country states will appear to the user in the billing/shipping signup section. This is the best way to disallow/allow a state/province to use your store. You will notice the states/provinces are applied under their given country and allow you to micro-adjust which states/provinces will appear. You may specify shipping zones in this location by creating new zones, adding zone items to that zone. We provide some rather basic groupings of shipping zones to use and begin with, but you may edit and fine tune the zones to your need. You may add new zones, add new zone items, edit and delete these zone groups as you see fit to customize to your specific area. You will have a chance to apply shipping rates to a specific zone if you want to, but often this is not needed and only used if you understand how they work. **Note: Shipping zones are a post address filtering system. 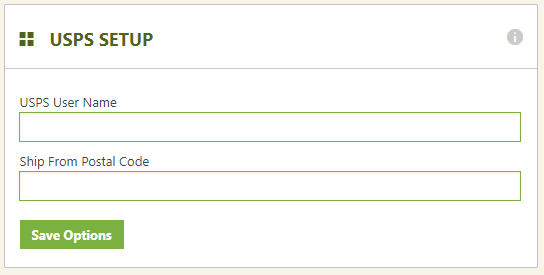 So after the user enters their billing/shipping address, EasyCart will look for a matching shipping zone rate. If none is found, it will use the default shipping rate. Setup is critical for shipping zones, and most of the time is not needed. 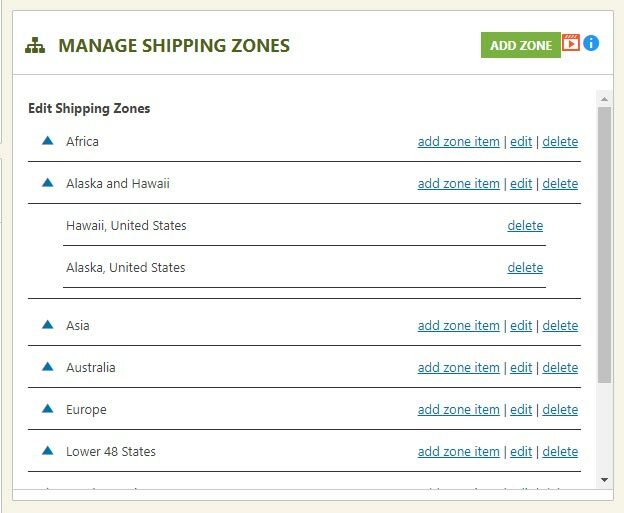 **Note: Shipping zones are not used to eliminate countries from orders or places you will ship to. 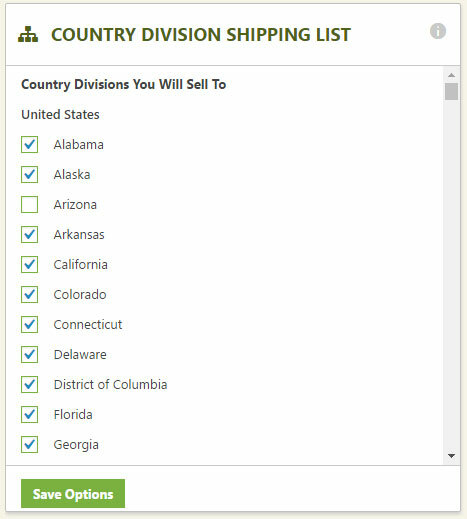 To only ship to a certain country, for example, you would go above to the country list and eliminate countries that you do not want to show in the billing/shipping address section. 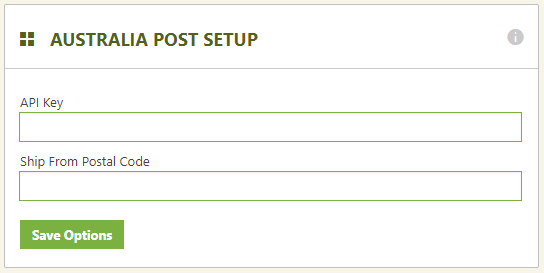 PRO/Premium users may establish and use UPS API live shipping rates by entering the information in this section. 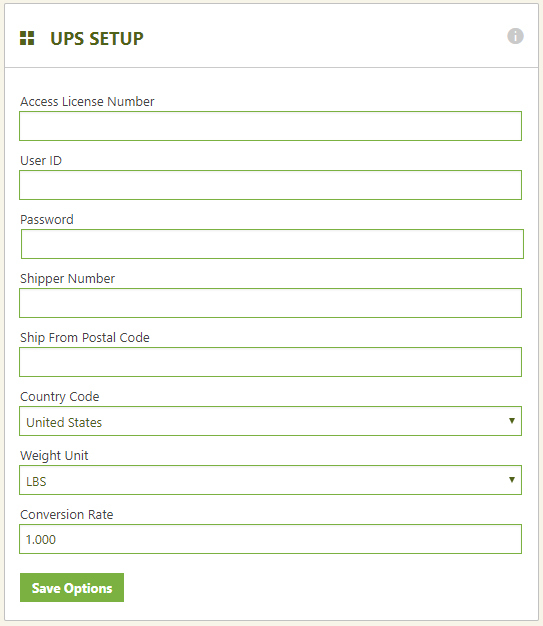 Access License Number – Enter your access license number from UPS account. User ID – Enter your user id from UPS account. Password – Enter your password from UPS account. Shipper Number – Enter your shipper number from UPS account. Ship from Postal Code – This is the zip code where you will ship products from your business. Country Code – Select the country from which you will ship products from your business. Weight Unit – These weight units are sent to UPS and represent what your weight of products will be calculated in. Conversion Rate – The default is 1:1, but you may adjust a conversion rate to establish and alter the returned rates globally. PRO/Premium users may establish and use FedEx API live shipping rates by entering the information in this section. FedEx Access Key – Enter your access key from FedEx account. Account Number – Enter your account number from FedEx account. Meter Number – Enter your meter number from FedEx account. Password – Enter your password from FedEx account. Weight Unit – These weight units are sent to FedEx and represent what your weight of products will be calculated in. PRO/Premium users may establish and use USPS API live shipping rates by entering the information in this section. PRO/Premium users may establish and use Australia Post API live shipping rates by entering the information in this section. API Key– This is the API Key found in your Australia Post account. 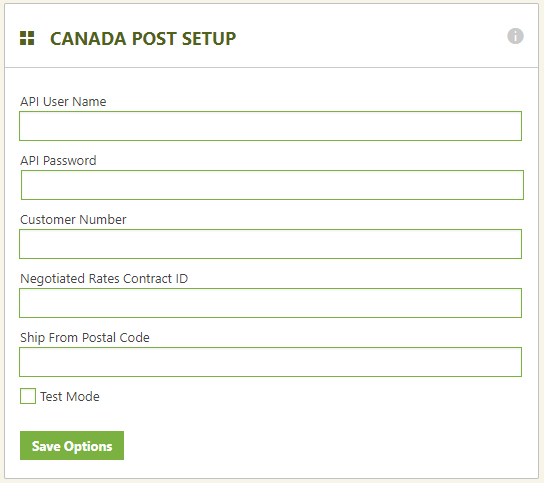 PRO/Premium users may establish and use Canada Post API live shipping rates by entering the information in this section. API User Name– This is the API Key found in your Canada Post account. API Password – This is the API password found in your Canada Post account. Customer Number – This is the customer number found in your Canada Post account. Negotiated Rates Contract ID – If you have a negotiated rates contract ID from Canada Post, you can enter it here. Test Mode – If you would like to run in test mode with your Canada Post account, you can enable this here. PRO/Premium users may establish and use DHL API live shipping rates by entering the information in this section. DHL Site ID – This is the DHL Site ID established in your DHL account. Password – This is your DHL API password. Country Code – This is the country from where you will ship products from your business. Weight Type – This setting lets you establish different units for product weight measurements. 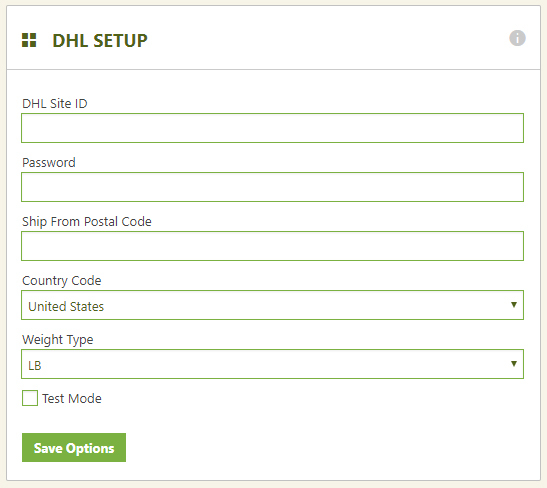 Test Mode – If you would like to run in test mode with your DHL account, you can enable this here.